I thought I’d try to paint the logos on to the adult costumes first. Felt, which I used for H’s Gecko costume, felt a little lumpy for the grownups. 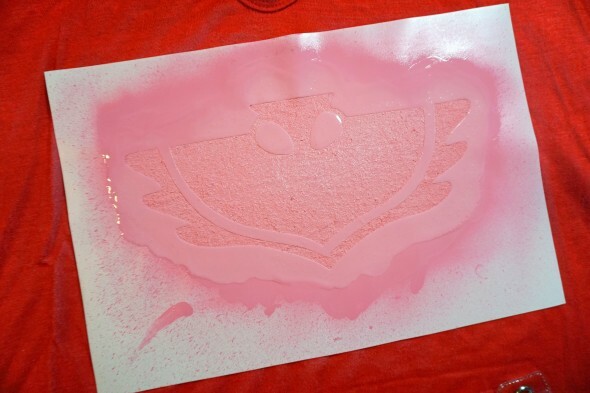 Again, same as with Gecko I used my Cameo to make a stencil. 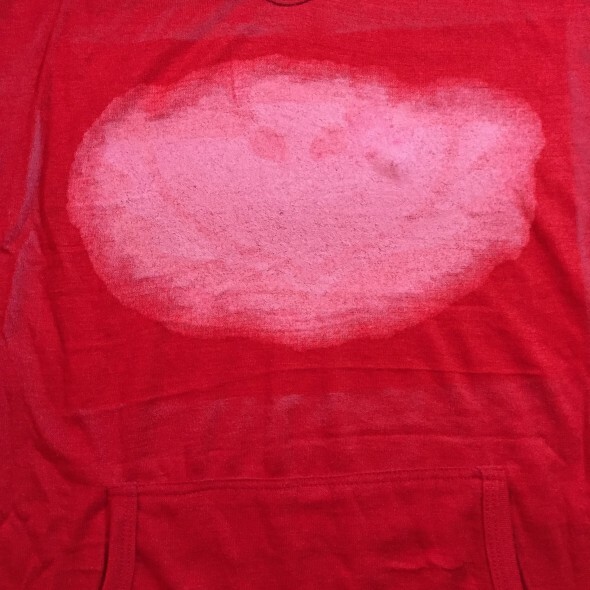 But the paint seeped right under the edges of the shirt. 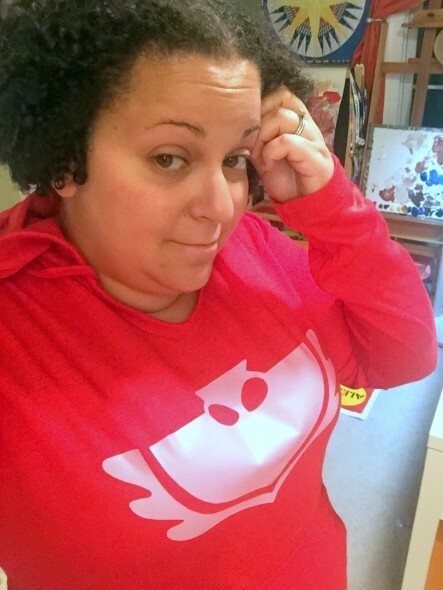 So, I bought another shirt (it took me a little while to find these long sleeve red hoodie t-shirts). And I got some heat transfer vinyl, an obsession among all the Silhouette Cameo groups out there. And I tried again, with waaaaay better results. 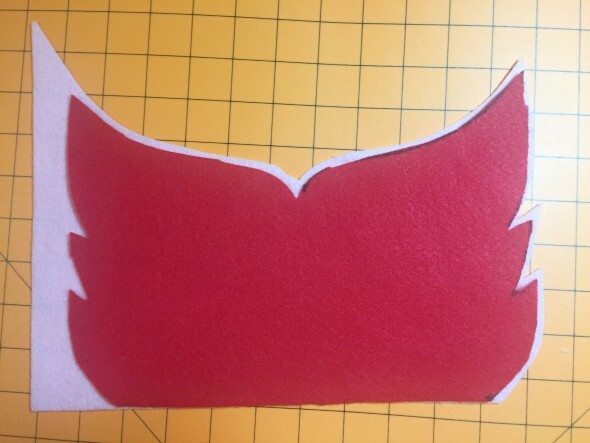 I made Owelette’s mask into kind of a flap to attach to the shirt’s hood. 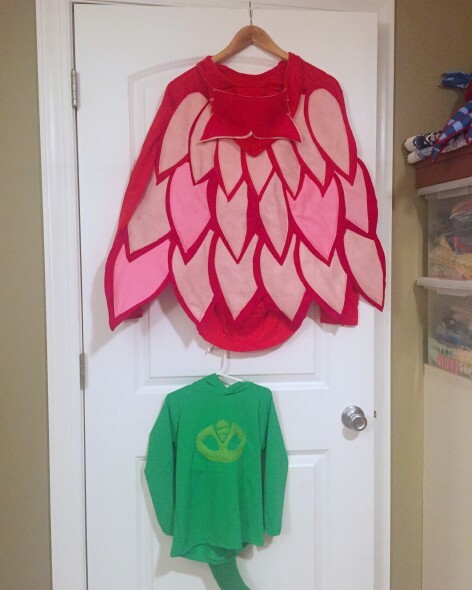 Then I made the cape. 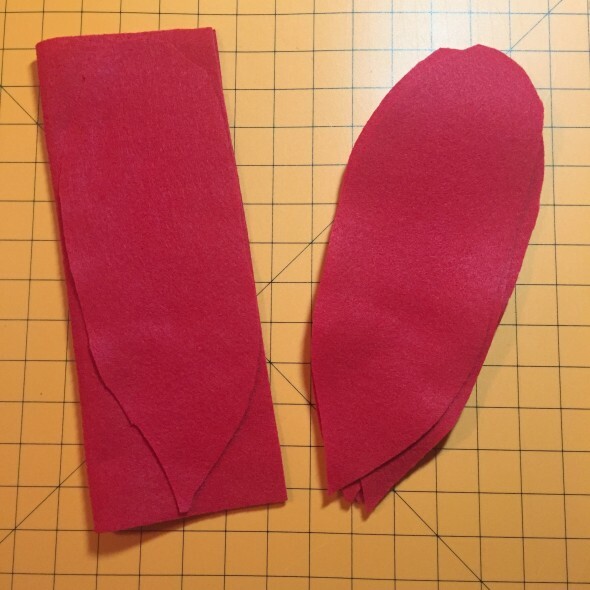 I cut out some vaguely feather shaped pieces from red felt (all free form, I just folded pieces of felt in half and cut). 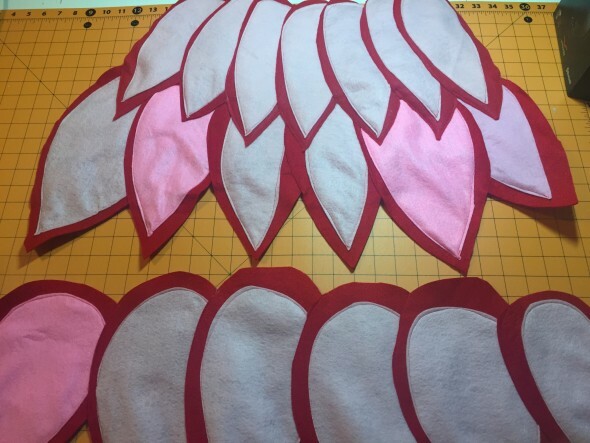 Then I made some slightly smaller feather shapes out of light pink and bubblegum pink (which is just what I had on hand). 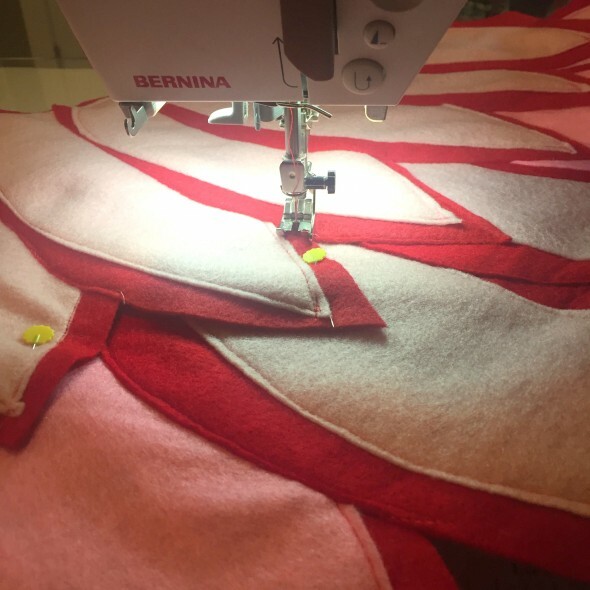 I topstitched the pink felt to the red felt, then I worked in rows. I randomly overlapped the feathers, fanning them out, and then topstitched again to just attach them along the curves where they overlapped. Then I sewed each row to the next one. 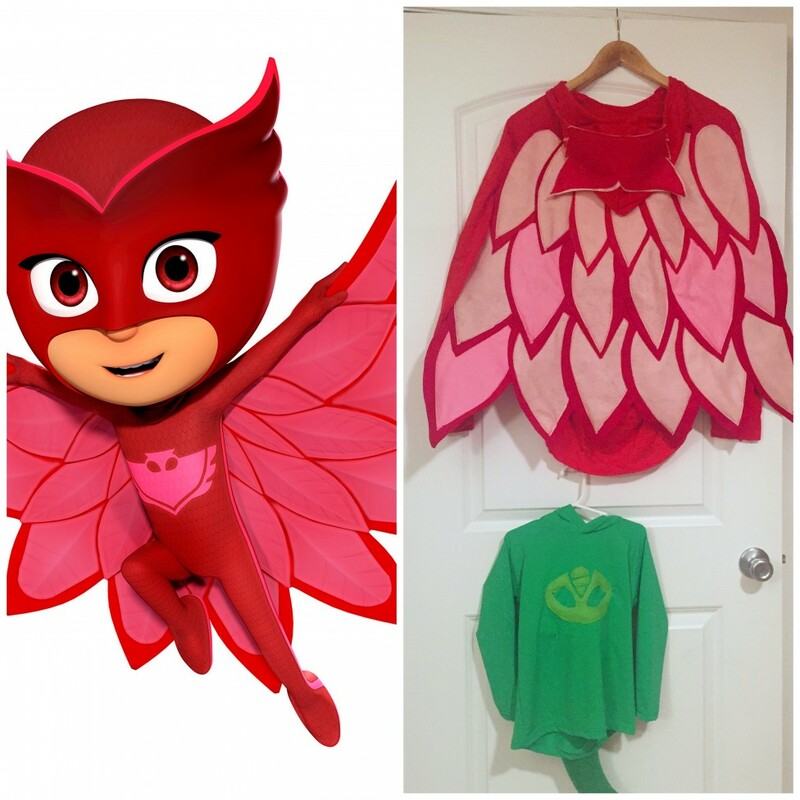 I attached snaps so I could just attach the feather cape to the shoulders of the shirt. And then I had an Owelette costume to go with H’s Gecko!